The historic LaDue Auditorium, built in 1906, is used for student recitals, concerts, and student activities. LaDue's lower and upper levels were completely renovated in the spring of 2007 and now houses the School of Education. 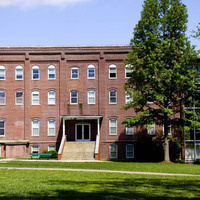 Marston Hall, adjacent to LaDue Auditorium, houses the Records and Business offices and classrooms. "When Rap Music Meets Theology"